By James Brewer: If you are ever in need of a book that makes you feel grateful for all that you have, An Orphan With A Destiny is it. The book showcases Western life in Colorado in the early 1900s, following a little girl’s life. Her name is Katelyn Grant, but she doesn’t know herself as that name. Nor does she know her past or even her parents. Shock is hell of a drug, specially when you see your parents and those around you brutally murdered by Indians. The book is about hardship and overcoming one’s difficulties. It brings light to the true situations that orphans and runaways had to face in the early 1900s. The story that follows reveals how much little Katelyn had suffered and how fate changed her. It shows that things can change through determination and hard work, that the world and everything around you might be going to crap, but you can survive. It makes you very much grateful for how much society has changed in the last hundred years or so alone. An Orphan With A Destiny is a life-changing novel that’ll make one grateful for all they have. 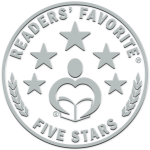 4.5 Star Book Review December 11, 2018 by Jennifer Melville. “I expected this book to be a spin-off of Edith Nesbit’s classic children’s book, The Railway Children. Instead, my children and I were in for an unexpected and wonderful literary treat. The Railway Children Chronicles tells the story of orphan children in the western mining town of Silver Plume, Colorado. Cook masterfully transports readers back in time and poignantly portrays the real-life struggles orphans faced in the 1880s. Gritty and merciless, the story follows the Railway Children as they struggle to survive. It’s upsetting and shocking at times, but authentic to the time period and real-life struggles orphans faced in the American West. There’s no sugar-coating. It’s a tale of survival. The children face hardships and challenges few modern readers will ever have to endure, and that’s partly what makes it so powerful. Action-packed, exciting, and heart-breaking at the same time, Cook’s novel is a conversation starter about this forgotten aspect of American history. Who will step up and save the orphans? This is a book to read with your children. It may be upsetting to them at times, but it’s a powerful look at history and something that will lead to unforgettable conversations. 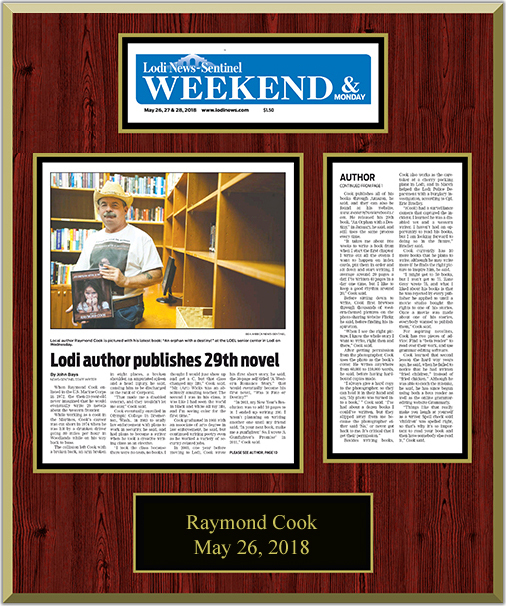 An article featuring this book appeared on the front page of the Lodi News Sentinel newspaper on May 26, 2018.